Written for the international banking and financial services community, their advisors and offshore companies, this is the first book comprehensively to address the principles and practice of bank lending to offshore tax haven entities. 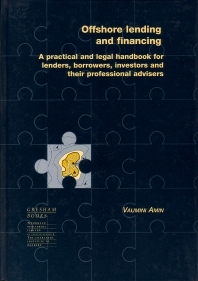 Highly practical in its analysis of lending considerations via this secretive sector, it also contains a comparative study of law and practice in key offshore jurisdictions. Part 1 Offshore centres: An introduction; Offshore centres: Foreign law concepts and terms; The legal personality of the borrower; Considerations when lending to individuals; Considerations when lending to companies; Considerations when lending to trustees; Double taxation; Considerations when taking security; Foreign law legal option. Part 2 Jersey; Guernsey; Isle of Man; Gibraltar; The British Virgin Islands; The Cayman Islands; Bermuda.